When it comes to remodeling your home’s interior, one of the most cost-effective ways to renovate is by simply painting your home’s walls. Painting is much cheaper than undergoing complete renovations, and can easily transform the look and feel of a room. It can be difficult, however, to begin painting your home, especially if you never have before and do not know where to start. That is why we have created an easy-to-follow painting guide so that your next interior painting project goes smoothly without worry. If you are located in Bakersfield or its surrounding areas and are searching for a highly qualified painting company to take on your next interior or exterior painting project, contact the professionals at Steve Holloway Painting today. 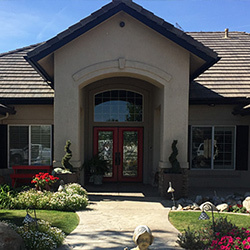 We have been bringing homes to life all around California since 1982, and are equipped with the proper tools to ensure that your next painting job produces beautifully lasting results that will continue to impress you for many years to come. If you are interested in learning about the essential steps to take before you begin your next painting project, continue reading more below. 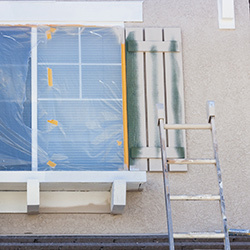 One of the most essential steps to ensure that your painting DIY project is completed without any mistakes is by first researching a few essential pieces of information beforehand. For example, you should first start by choosing which color of paint you think would look best in your home’s interior. It is also important to consider what texture you will be painting upon, as certain types of paint will perform and look much better on specific types of surfaces. You would not want to use an acrylic latex paint while painting a ceiling, as acrylic latex paint is designed to work better on surfaces like brick or cement. These are all important bits of information worth considering before beginning your interior painting project. If you are painting the walls of your home’s interior that have previously been painted, you will want to wash off any sort of buildup or dirt that may have accumulated over the years. If you fail to clean dust and dirt off of your walls before painting, you will find it much harder to remove any buildup after painting. You may also experience problems with the paint adhering to the wall, which can detract from the overall quality of your finished paint job. Many recommend using trisodium phosphate as a way to prepare large surfaces for painting. Trisodium phosphate, or TSP for short, is an effective degreaser that has been used for decades to remove dust, mildew, dirt, and much more. Many painters will also use a primer coating before painting a wall’s surface, as primer can help the paint be more adhesive, and will also leave you with a much smoother and professional looking end result. You may also find that you won’t have to apply as many coats of paint to your walls, as primer can help achieve a much truer representation of the paint’s original color. For this reason, we highly suggest applying a coating of primer before you begin repainting your walls. 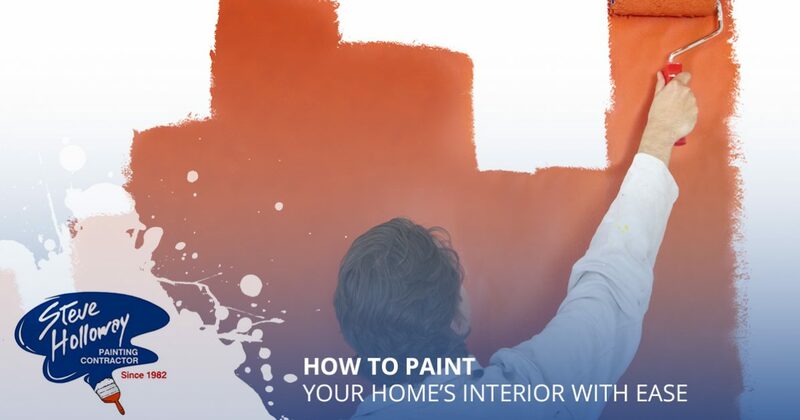 After you have removed all of your blinds, drapes, picture frames, and anything else that may be hanging from your wall, you can now begin painting your interior. You should always place plastic tarps, mats, or some form of protection on your floors, so that you can paint without worry of drips, spills, or splatters. If you are painting a large wall, you may find it much easier to use a paint roller rather than a paint brush. This will allow you to paint larger surfaces much quicker without having to constantly reapply paint to your brush. While paint rollers may be perfect for large walls, they don’t work so well when trying to paint smaller surfaces that require a great attention to detail. For this reason, you should consider using a smaller, one- to two-inch paint brush for all of your intricate painting needs. If you need to apply multiple coats of paint to your wall, you will need to wait at least four hours before recoating your walls. This will give your walls an ample amount of time to dry, making it easier for additional layers of paint to adhere to your wall’s surface. 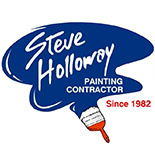 At Steve Holloway Painting, we have successfully painted countless residential and commercial buildings in Bakersfield and its surrounding areas since 1982. Customers choose Steve Holloway Painting because of our fairly priced project quotes and dedication to providing the highest level of service possible. You can easily view all of our past painting projects by visiting our gallery page located on our website. 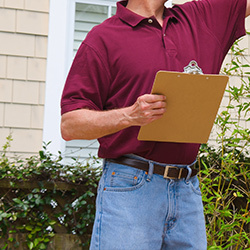 To learn more about any of our painting services, or to request your free quote or estimate, contact our staff of experts today!